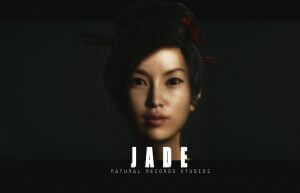 Natural Records Studios has created Jade, a state-of-the-art hyper realistic female Avatar allowing participant’s interaction. Jade has been described as “The Holy Grail Achieved – The Dawn of Sentient Machines”. Jade is empowered by Emoshape EPU II, who is the industry’s first emotion synthesis engine that delivers high-performance machine emotion awareness. Today, Jade’s emotional processing unit displays real time facial emotions, listens to speech and generates a natural-language response. Jade is predominantly an Artist, eventually she will spontaneously track human faces, detect object, and more! V3 (Victus Vincimus – Veterans Revenge) is a Virtual Reality, Artificial Intelligent military action, science fiction drama depicting the emotional horrors of war, the anguish of separation. The story is an apocalypse based on the warriors of past World wars, coming back from their graves disappointed with how the world they lost so much for has become. They wage a different fight against the present world dominant forces and corrupt manipulators. Jade Phoenix is one of the characters in V3. 2000 years ago, she was Trung Trac, but today is known as Dr. Katherine Osaka, a surgeon stationed in Honolulu, Hawaii. She has the “unfortunate gift” to witness the pain and anguish of war. She tries to share that experience and save lives. Emoshape’s EPU is based on Patrick Levy-Rosenthal’s Psychobiotic Evolutionary Theory extending the Ekman’s theory by using not only twelve primary emotions identified in the psycho-evolutionary theory, but also pain/pleasure and frustration/satisfaction. The groundbreaking EPU algorithms effectively enable machines to respond to stimuli in line with the twelve primary emotions: excite, confident, happy, trust, desire, fear, surprise, inattention, sad, regret, disgust, and anger. The Emotion recognition classifiers achieve up to 86% accuracy on conversation. The EPU II family of eMCU are transforming the capabilities of Robots and AI making V3 the 1st Artificial Intelligent Film/Game.